This is another post in our Ask a Gardener series where you get to ask our resident experts your gardening questions. Send your questions to gardener@smartgardener.com. I don’t know my frost dates. How can I find that information? 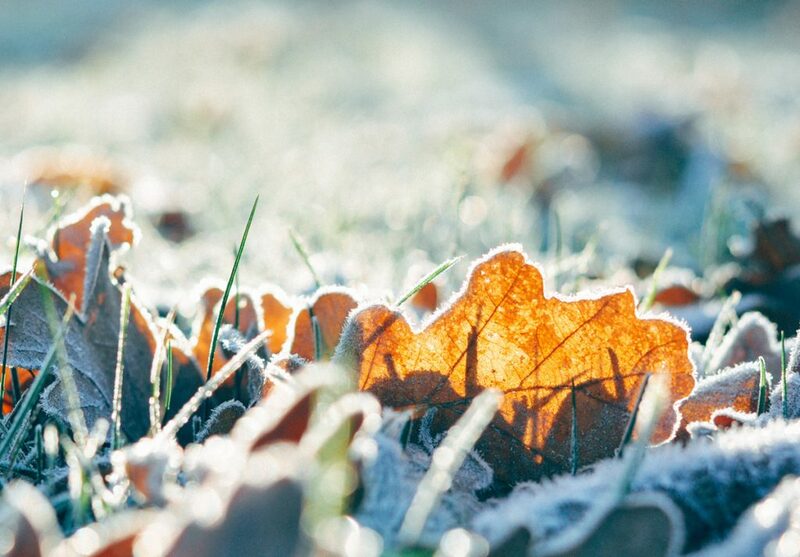 Gardeners need to know the date of the average last frost in spring and the average first frost in fall because these are used to determine planting dates. The last frost date in spring is a good general guide about when it’s safe to put out plants. Smart Gardener uses your zip code to automatically determine your frost dates, which works very well if you live in an area with a fairly uniform climate. 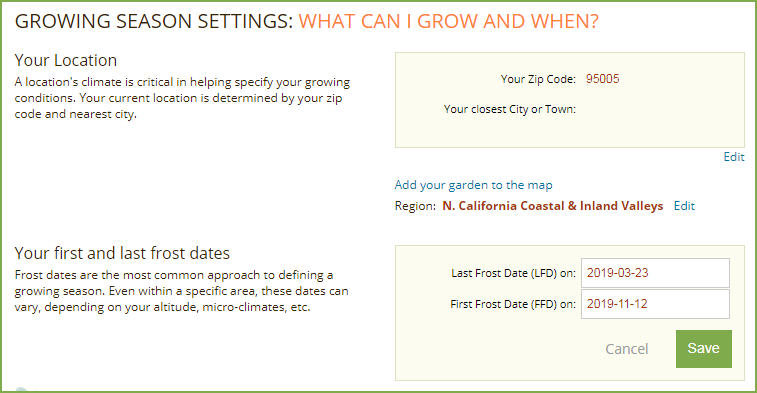 But if the area covered by your zip code is very diverse (my zip code starts at sea level and goes up to 2500 ft and actually contains more than one climate zone), this may not be an accurate guide for planting, which is why we have included the option to adjust your frost dates in your profile to more accurately reflect your conditions. In my case, my zip code spring frost date is based on Santa Cruz, which is nearly a month earlier than my actual date. 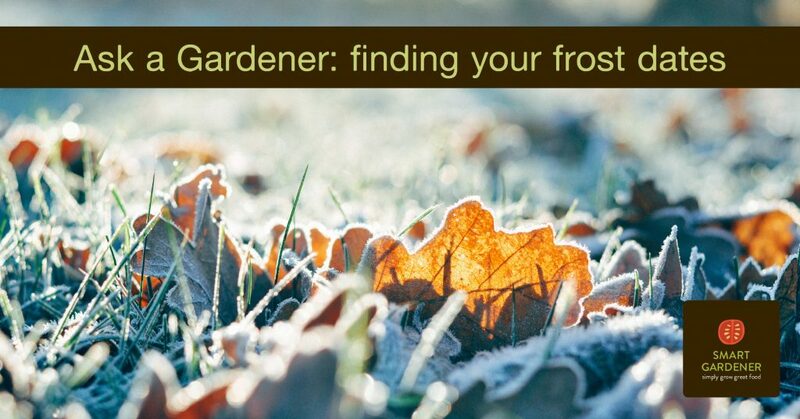 Knowing the frost dates vary dramatically in my area, I looked for more specific information for the area where my garden is located. If you’re in the United States, your best bet is to check the NOAA website for a link to your local Regional Climate Center. I found the Western Regional Climate Center website to be very helpful. My area is covered by the Northern California climate summaries map. This map showed my closest weather station to be in Ben Lomond, so I clicked on that page. On the left of the page under Temperatures I found Spring ‘Freeze’ Probabilities. This brings up a graph showing the probability of the occurrence of various temperatures around freezing. Where the orange (32 degree F) line bisects 50% is the average last frost date, which for Ben Lomond I estimated to be about the 23rd of March. The first fall frost date is also found under Temperatures as Fall ‘Freeze’ Probabilities, and has a similar orange (32 degree) line. Where this bisects 50% is the average first fall frost date. I estimate this to be about the 12th of November for Ben Lomond. There is also a ‘Freeze Free” Probabilities page, which has a graph showing the length of your frost free season. For Ben Lomond I estimate this to be about 240 days. Once you know your average last frost date, you can enter that manually in your garden’s settings in the Smart Gardener app. Next to your garden’s name at the top, select “Settings.” Under “Growing Season Settings” you can edit your first and last frost dates based on what you learned from your Regional Climate Center’s information. Smart Gardener will use these updated dates to determine your best dates for planting the vegetables you selected for your garden, guiding you on when to start your seeds and when to transplant your seedlings outside. It’s sometimes said, “Climate is what you expect, and weather is what you get.” Keep in mind that these frost dates are averages and so of course they will vary from year to year (some years it will be earlier and some years it will be later). But following the info above will give you a good idea of how to determine your garden’s last spring frost date and first fall frost date, and that will be a good place to start.